Single family homes can make a great investment if purchased and managed properly. Utah has a strong rental climate for single family homes. 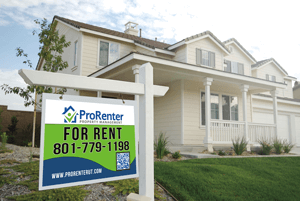 Low unemployment, steady job growth, and an increase in qualified tenants makes Utah a great place to own rentals. If you are considering purchasing a SFH as an investment property there are some things you need to know. You want to make sure that you have a solid strategy in place to locate, evaluate, and make offers on potential investment properties. Make sure that you are evaluating single family homes that are in a city or area that are going to attract quality tenants. Don’t just look for a cheap house. There are plenty of rundown, cheap houses for sale, but it doesn’t mean they will make a good investment property. For example: In Ogden, Utah there are an abundance of low cost houses that novice investors love to purchase because it is such a “cheap” investment. However, if they don’t properly evaluate the house and area they could be stuck with a single family home that only attracts low qualified, difficult tenants and may soon becomes a money pit. Make sure you know the area that you are purchasing in. What is it that draws people to that particular city or area of a city? Is there a large employer that attracts residents? Does the area have good schools or a low crime rate which draws people to live there? If you are not familiar with an area and understand why potential tenants may want to live there you may need to do a bit more research. In Layton, Utah there are a lot of great areas that could attract high quality tenants. Hill Air Force Base is located near Layton and is one of the largest employers in the area. The Base brings a lot of well qualified military and civilian residents that usually want to rent a single family home. Layton is in the Davis County School District which is typically associated with providing quality education for children. Layton also has a relatively low crime index when compared to the state as a whole or national averages (according to usa.com). Knowing this type of information about an area will help you make a more informed decision. You will also need to make sure you analyze the potential financial performance of the property. At minimum you want to ensure that any single family home you purchase as an investment is going to cashflow for you. To calculate your cashflow you will need to be able to make assumptions about your income (rent) and expenses. Once you know have an idea of what your monthly income and expenses are for the property you can calculate your Net Operating Income (NOI) which is income less expenses. Once you have an estimated NOI you know just need to know what your debt service (principal and interest) will be for a property and then you can calculate your monthly cashflow. Cashflow is calculated by taking your NOI and deducting your mortgage payment (principal and interest). If your investment has a positive cashflow each month then your investment should pay for itself as long as you can manage it properly. It is a good idea to assemble your team before you jump in and start looking at investment properties. Depending on your experience and resources your team may consist of a mortgage broker, real estate agent, property manager, and home inspector. As a Utah property manager I have access to these types of professionals to help my clients properly evaluate single family homes before they purchase them as an investment. I can even assist my clients in running financial analysis and estimating their monthly cashflow on a particular property. 1- 20% of the purchase price as a down payment. 2- 6 months of reserves (savings) to cover your primary mortgage payment. 3- 6 months of reserves (savings) to cover your investment property mortgage payment. While the barriers to investment property ownership may seem high there are ways to lower these barriers. One option to consider is to turn your primary residence into a rental home and purchase a new primary residence. You will typically be able to get more favorable financing terms if you are purchasing a primary residence. Another option would be to purchase a home that qualifies for a HomePath mortgage through Fannie Mae. Purchasing a HomePath home can drastically reduce your down payment requirement (as low as 10%) and some of the homes may qualify for a HomePath Renovation Mortgage to make needed repairs. You may have to be a bit more patient to find a home that will meet your investing goals, but the savings could be significant. You can learn more about HomePath Mortgages by visiting www.homepath.com. If you are interested in purchasing investment homes I work with some great lenders and real estate agents in Utah that can help you find and qualify for the perfect investment property. I can even help you run financial analysis on homes that you are considering to make sure that they will be a solid investment. PreviousPrevious post:Common DIY Landlord MistakesNextNext post:Thinking of Renting Your Layton Home?